Ekati mine, Canada. Photo by Dominion Diamond Mines. 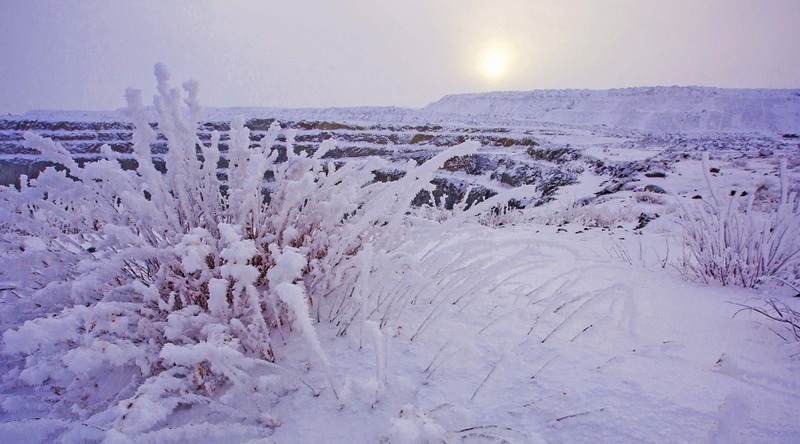 Information made public by the Canadian Broadcasting Corporation states that management at Dominion Diamond Mines is worried about the profitability of its Ekati mine, located in the Lac de Gras region of the Northwest Territories, approximately 300 kilometers northeast of Yellowknife. The CBC quotes an official who said that, given such concerns, construction of a new open pit at the mine has been delayed until further notice. The so-called Jay pipe should have been built by the end of 2018, which is already a year later than previously planned. Its original timeline showed it starting production in 2021 so that the mine’s life could be extended up to 2033. A couple of years ago, it was said that without the expansion, Ekati would run out of its existing reserves by 2020. Last year, road construction started at the site. The project also includes building a dyke, draining part of a lake and digging the open pit. According to Dominion, Jay -which is located near the existing Misery pit- is the most significant undeveloped deposit at Ekati due to its large size and high grade.